Get Your Security System Backup Batteries from Alarm Grid! Hi DIYers! 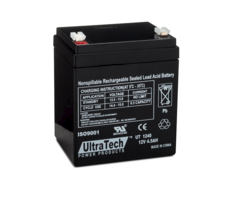 As you may know, backup batteries represent one of the most important components for any alarm system. These devices keep the panel running during a power outage so that the user stays monitored. This is crucial in case an emergency occurs while the electricity is out. A backup battery for an alarm system works by continuously storing a charge while the system is running on plug-in transformer power. If the power goes out, then the backup battery will have power ready to keep the system running for as long as possible. Once the system loses both battery power and plug-in power, it will shut-down entirely. For that reason, batteries are just a temporary solution. But they are still extremely useful for short-term outages. Batteries are actually very easy to work with, and they can be quickly swapped out and replaced by any DIY user. Most wireless panels use a special type of battery pack that plugs into the system board. The user can simply unplug the old battery and then plug-in the new one. 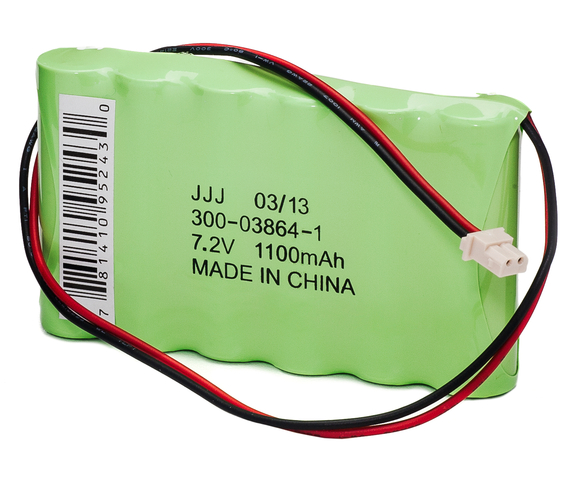 Hardwired panels generally use larger batteries, that can usually be identified as a black box inside the metal enclosure. Just disconnect the wiring from the old one, and connect it to the new one. Please note that many hardwired panels can also use a shared transformer when using an alarm system communicator. More information is available here. A big thing to understand about batteries is that they do not last forever. As a battery is used inside an alarm system, it will very slowly lose its ability to store a charge. Its maximum capacity will gradually begin to decrease until it is unsuitable for use. At that point, the user will need to get a replacement. A user will know that this is the case because a low-battery trouble condition will appear on their system. Remember though that not all low-battery warnings are a sign of a dead battery. If this warning appears after a power outage, it could just mean that the battery needs time to restore its charge. Once the battery charge reaches a sufficient level, the condition should clear on its own. We recommend waiting at least 24 hours with the system running on continuous AC power to see if the problem goes away. If it does, then the battery still has some life remaining. It also never hurts to be prepared and keep an additional backup battery or two in a safe area. That way, when your current battery reaches the end of its lifespan, you can quickly replace it with a new one. Since the new battery won't have a charge, it will take it awhile to regain power. But eventually, the battery should work just like a new one. Additionally, most of the batteries for hardwired panels have universal connector terminals, and you can actually keep them continuously charged with a Battery Tender device. Keeping multiple charged batteries around is great for users who live in an area where extended power outages may occur. 2GIG BATT1X 2GIG GC2 Provides 4 to 6 hours of backup power. 2GIG BATT2X 2GIG GC2 Up to 24 hours of backup power. 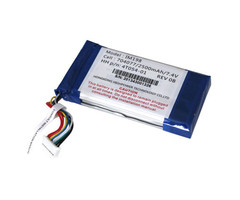 2GIG BATTERY GC3 2GIG GC3 Standard backup battery for GC3. DSC SCWBATTERY DSC Impassa Up to 24 hours of backup power. Honeywell LCP500-4B Honeywell Lyric Controller Up to 4 hours of backup power. Up to 24 hours of backup power. Honeywell LYNXRCHKIT-SC Honeywell LYNX Panels Up to 4 hours of backup power. Works longer than standard capacity battery. Interlogix 600-XTI-BAT Simon XTi and Simon XTi-5 Rated at 6V, 2.1Ah. Qolsys IQ Battery Qolsys IQ Panel Will not work with IQ Panel 2. Qolsys IQ2 Battery IQ Panel 2 and IQ Panel 2 Plus Up to 24 hours of backup power. If you have any questions about batteries or if you need help choosing a battery, don't hesitate to reach out to us! You can email us at support@alarmgrid.com, or call us at (888) 818-7728 during our business hours of 9am to 8pm EST M-F. We look forward to hearing from you! Alarm Grid Reducing Prices on Almost Everything! We strive to have some of the best pricing on the internet for security products. When prices are reduced for us, we do our best to quickly pass off those savings to anyone who has made a purchase here. In the last week, we have reduced the prices on over 100 items an average of 6%. Our Lyric kits have all seen price reductions between 6% and 19%. Below is the list of all items whose price has been reduced. We hope you enjoy the savings!